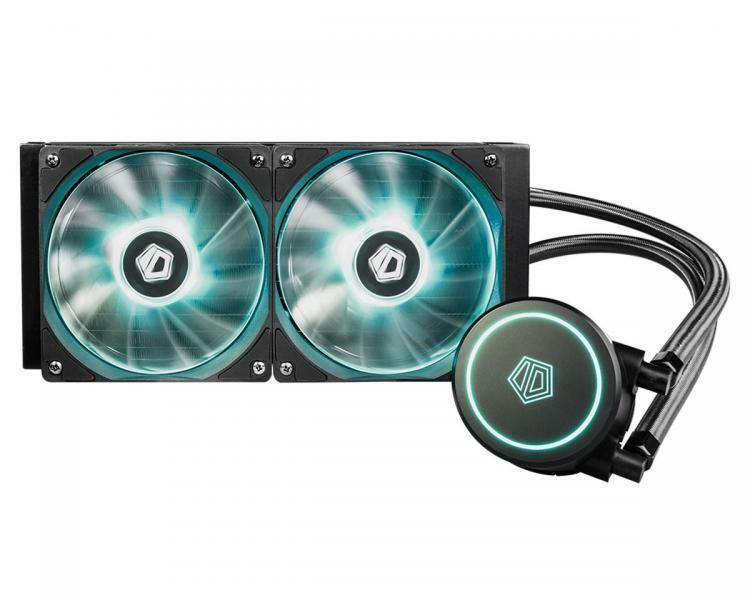 ID-COOLING presents its latest all-in-one liquid CPU cooler featuring a newly developed pump and 12V RGB lighting – the ID-COOLING AURAFLOW X 240. 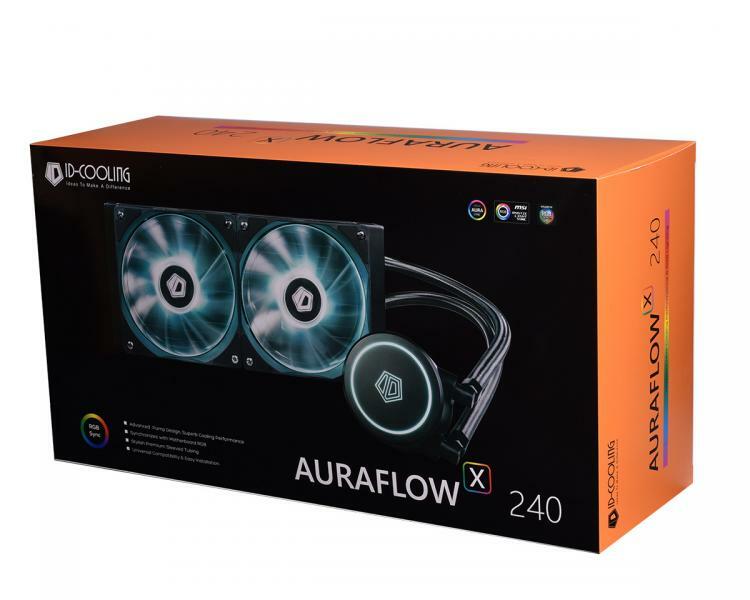 The AURAFLOW X 240 is marketed as an attractive budget-oriented high-performance liquid CPU cooler that features RGB lighting with synchronization support to popular motherboard-based RGB lighting control software including ASUS Aura Sync, MSI Mystic Light, and others. ID-COOLING developed a new and powerful pump for the AURAFLOW X 240 pumping up to a flow rate of 106L/H, lift range of 1.3m H2O. To further enhance cooling performance, the water block uses a copper base with micro-fins. The pump’s connector is a 3-pin 12V connector to ensure the maximum flow rate for maximum cooling performance. The AURAFLOW X 240 comes with a 400mm premium tubing with sleeving to give builders plenty of tubing for routing as well as compatibility with large cases. The AURAFLOW X 240’s water block features RGB lighting as well as on the included 120mm fans. The fans are PWM controlled from 700 to 1800RPM with a maximum airflow of 74.5CFM. The RGB lighting can be controlled with the included RGB lighting controller or connected to the motherboard for RGB lighting synchronization. 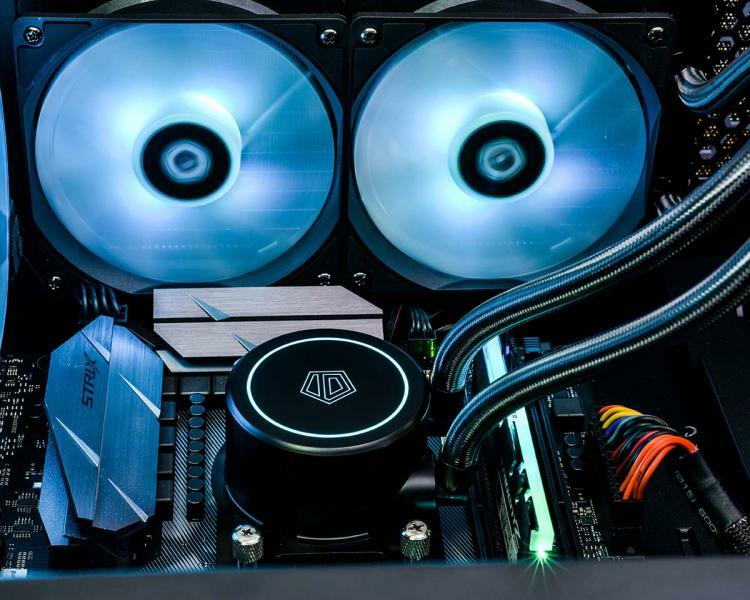 The ID-COOLING AURAFLOW X 240 is compatible with Intel LGA2066/2011/1366/1150/1151/1155/1156 and AMD TR4/AM4/FM2+/FM2/FM1/AM3(+)/AM2(+) sockets. The ID-COOLING AURAFLOW X 240 will be available by late November 2018 with an MSRP of $79.99USD. Learn more about the AURAFLOW X 240 here.